Minutes to flee California wildfires Jump to media player Wildfires that broke out in the inland mountains of southern California have spread, burning homes and forcing the evacuation of several small mountain communities. 1,500 flee California wildfire Jump to media player 1,500 people have been evacuated as a wildfire in southern California's San Jacinto Mountains quickly spreads. 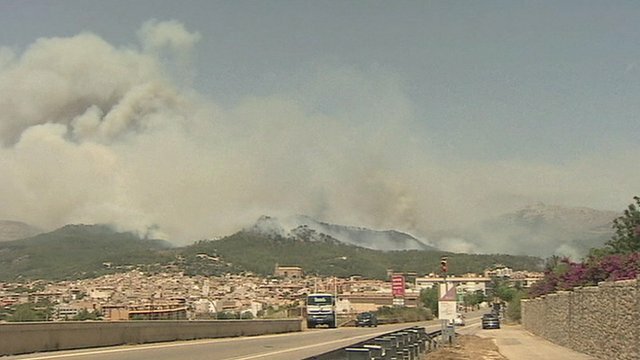 Evacuations as Mallorca wildfire spreads Jump to media player More than 700 people are evacuated from their homes on the the island of Mallorca as authorities battle to bring a wildfire under control. 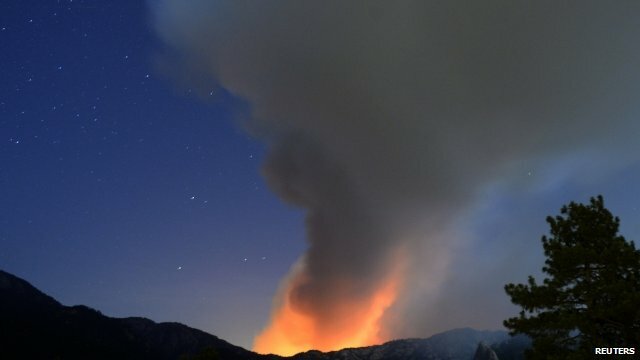 California wildfire continues to rage Jump to media player A wildfire in southern California is spreading across the mountains above Palm Springs, and there are growing concerns about erratic winds that could fan the flames. 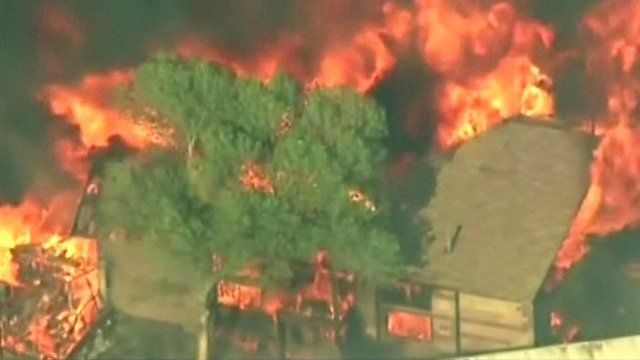 About 1,500 people have been forced to flee their homes in southern California as a wildfire rages out of control, fire officials have said. 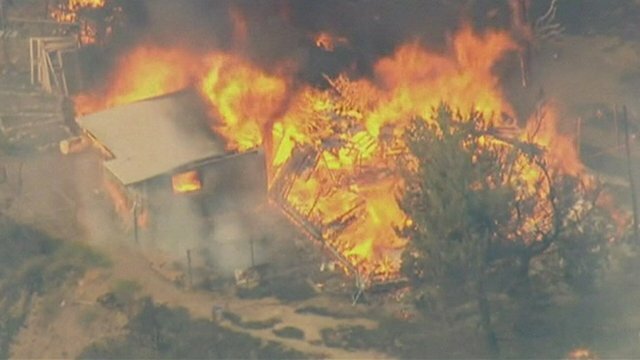 The fire, first reported early on Wednesday afternoon, exploded in size as wind fanned flames across dry ground. 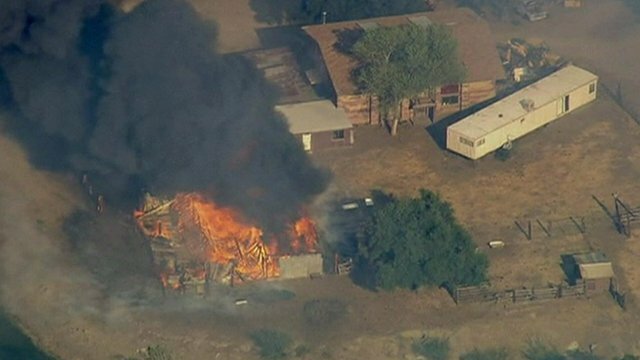 At least five people have been injured and 10 homes have been destroyed in what the authorities say is one of the most fast-moving fires in half a century.